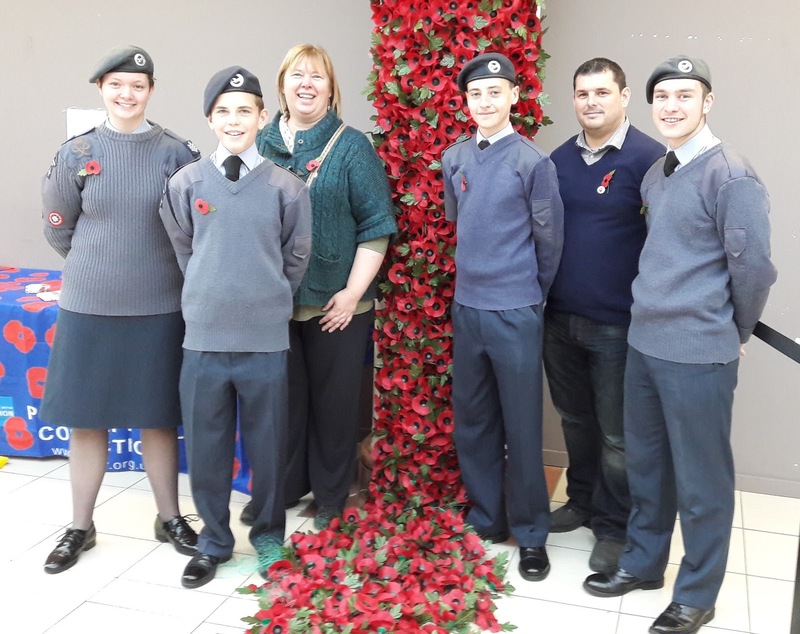 This year, cadets from 84 (Coventry Airport) Squadron have been actively taking part in the 2016 Royal British Legion Poppy Appeal in Leamington Spa. Firstly, Cadet Flight Sergeant Phoebe Jenner presented the banner at the official appeal launch in Leamington Spa where she stood alongside cadets from local Army and Navy units to celebrate and kick start the poppy season. Cadets were then present to assist the running of a festival show held at the Spa Centre in Leamington which was jam packed with readings, musical excerpts and reflective moments. 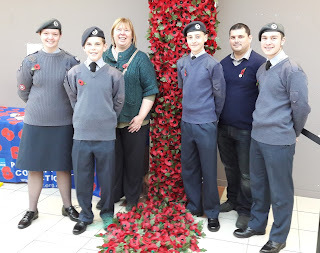 This last weekend cadets were also present again in The Royal Priors shopping centre in Leamington assisting the teams of poppy sellers. All this before we attend the Remembrance Day services next weekend. Fantastic effort from all those who have taken part so far. For more photos - check out the Squadron Facebook Site.